Keith Williams will speak to European opera delegates during the Opera Europa conference 28-30 October 2013 on the creation of the Wexford Opera House, a building which plays host to this year’s autumn conference. Opera Europa is the leading service organisation for professional opera companies and opera festivals throughout Europe. Opera Europa conferences take place at least twice a year in alternating member cities, and Ireland, and Wexford play host for the 2013 autumn round. The conference programmes focus on topics and developments of current practical interest, such as maximizing income, audience development, new technologies and new media, human resources, fundraising and PR/Marketing, and are attended by high level delegates from all over Europe. 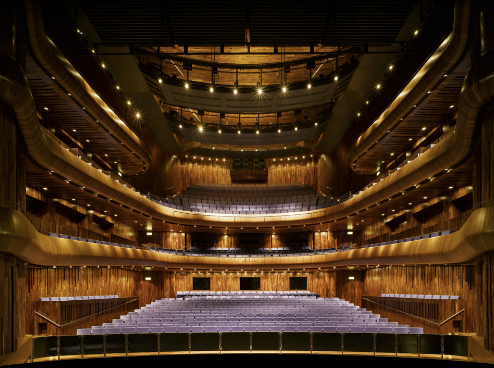 Keith will speak on the design and construction of Wexford Opera House, a building with widely acknowledged world class acoustic and staging qualities which he designed and oversaw the construction of between 2005 and 2008. Wexford has since become Ireland’s most important venue for world class opera and is the base for its eponymous internationally famous autumn opera festival, which this year in a feat of extraordinary programming coincides with the Opera Europa debate.